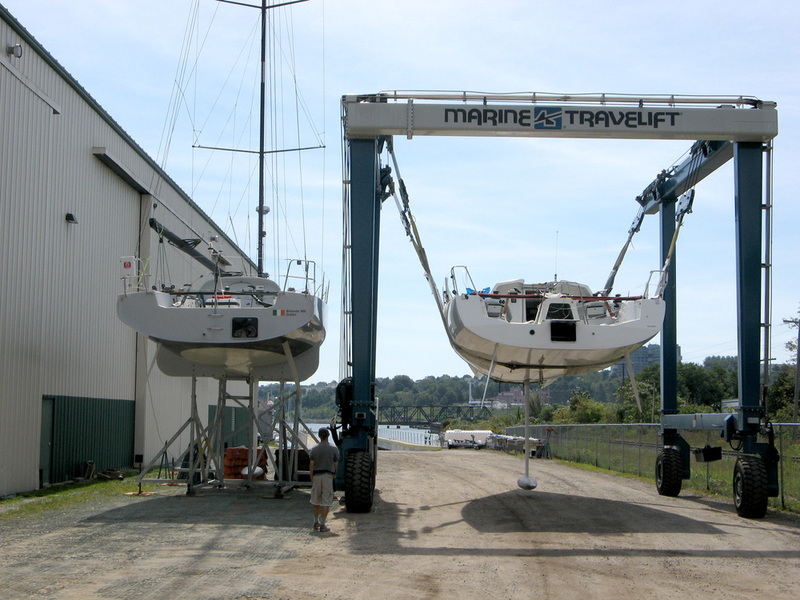 Maine Yacht Center is the U.S. commissioning yard for Akilaria Class 40 racing sailboats. 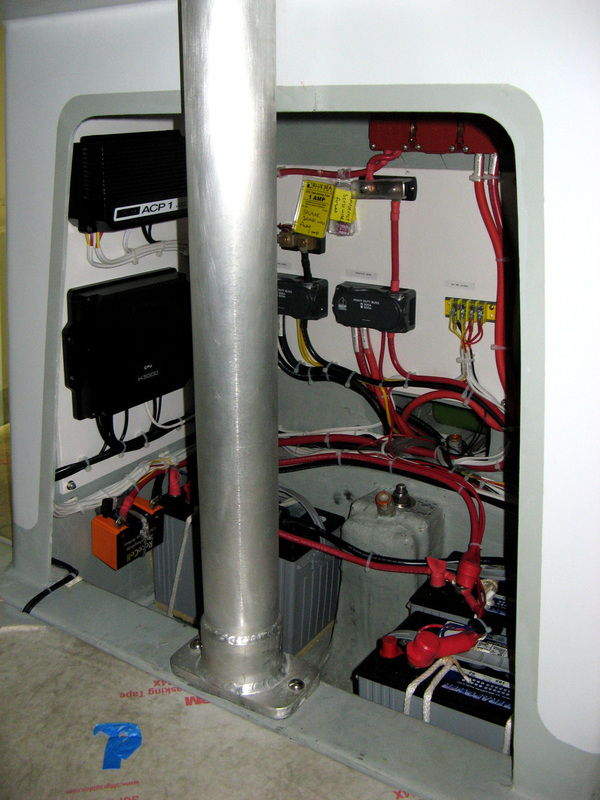 MYC imports the Akilaria Class 40 hulls and components and then completes, outfits and commissions the boats to individual owner requirements. For more information please visit www.akilaria.com. The RC3 is the third and latest generation Akilaria Class 40 designed by Marc Lombard. This version represents the most powerful and fully optimized Class 40 to date. The RC3, given its more powerful hull shape and Class minimum weight is faster than earlier versions, especially in power reaching conditions. With this increased speed comes a wetter ride!!! 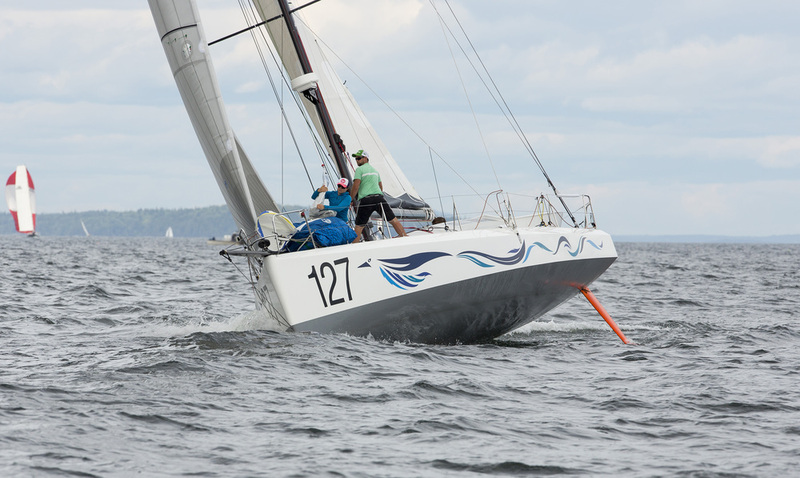 Fiberglass parts are built in Tunisia, the keel and rudders are made in France and carbon fiber components and spars are built by Axxon Composites in Romania. Amhas is the second of two new RC3’s imported and recently completed by MYC. The owner tasked MYC with designing a new cockpit layout to improve helming ergonomics as well as provide more protection from spray and “green” water while driving.